Home / News / College students blame Trump for shutdown. But their tune changes after learning crucial fact. College students blame Trump for shutdown. But their tune changes after learning crucial fact. 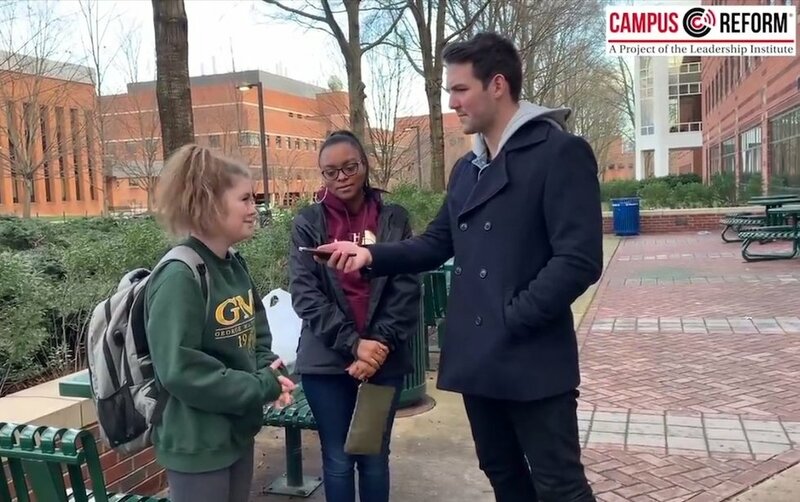 While the partial government shutdown was in effect, Campus Reform's Cabot Phillips visited George Mason University in northern Virginia to get impressions from students. Not surprisingly, most of the students who took part in the video interview blamed President Donald Trump for the shutdown, which at that point was the longest in American history. Then Phillips added a twist. Likely banking on students not knowing that Trump already offered Democrats a deal to end the shutdown — which included extended protections for Deferred Action for Childhood Arrivals, $800 million in humanitarian aid, and more border agents and immigration judges — Phillips posed that very scenario, asking students if Democrats should "compromise on their end" if Trump were to make the latter concessions. Phillips then informed students that Trump did make that very offer with those very concessions. And wouldn't you know Democratic House Speaker Nancy Pelosi rejected it? "It was the wrong move for [Pelosi] to turn it down," one student said.